Gas turbines are used extensively for combined heat and power (CHP), particularly at industrial and large institutional sites. More than 80% of this gas turbine CHP capacity is in large combined cycle plants that export power to the electric grid. The remaining gas turbine CHP capacity is made up of simple cycle gas turbine CHP systems, typically less than 40 MW. Gas turbines are ideally suited for CHP applications because their high-temperature exhaust can be used to generate process steam or used directly in industrial processes for heating or drying. There are two types of gas turbines: those derived from aeronautical engines and those originally designed for industrial and power generation applications. Industrial turbines are typically of a heavy weight and robust construction and are designed for a long life with less frequent maintenance overhauls. They are sometimes referred to as frame-type machines. Aero derivatives are characterized by low weight and high efficiency and high complexity. For this reason, they typically have higher maintenance costs. Based on technology on which these gas turbines operate, they are segmented into combined cycle and open cycle gas turbines. Combined cycle technology holds a major share in the market owing to their increased application in power generation applications. Conventional gas turbines are available from 1MW to over 300 MW. They are produced in discrete sizes with relatively few machines available in sizes suitable for CHP for buildings needed for specific application. Micro-turbines in the range of 1 MW – 40 MW fill the gap for smaller building applications. The key segmentations for gas turbines market include design type, capacity, technology, application and by geography. The global gas turbine market is estimated to decline during the forecast period and will reach $20 billion by 2025. Modernisation and service segment will continue to support the industry for next two to three years as per analyst team at IndustryARC. The gas turbine market has been segmented into Americas, Asia-Pacific, Europe and Rest of the World (RoW) on basis of geography. In 2017, APAC or Asia Pacific will be the prominent region for gas turbines market during the forecast period. The growth in APAC is attributed to the increasing need for power generation in developing countries like India, China and Indonesia . However, marginal sales from gas turbines demand in Americas along with European countries is likely to boost the overall market. Hitachi (MHPS) accounted for more than 50% of the global revenue generated from gas turbine sales in Q1 2018, market might witness biggest merger/ acquisition in 2019. Two large companies this segment, Siemens and GE are looking for a right partner who can buy stake in their gas turbine business. Q. 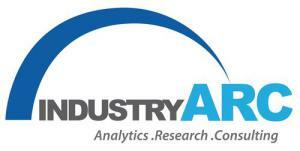 Does IndustryARC publish country, or application based reports in Gas Turbines Market?